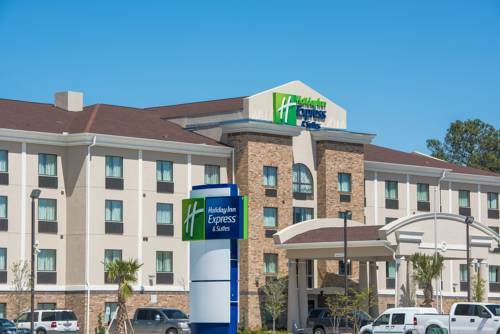 Welcome to Holiday Inn Express & Suites Houston Intercontinental Airport! Guests love the newest addition to the North Houston Area! Are you looking for a hotel right off of Interstate 45 or one in close proximity to the George Bush Intercontinental Airport? Well look no further than the Holiday Inn Express & Suites Houston Intercontinental Airport hotel. Stay Smart and enjoy our complimentary shuttle service to and from the George Bush Intercontinental Airport. There are many things to do and see. We are conveniently located near many popular attractions and activities such as Splashtown Waterpark, Sam Houston Raceway, the shops in Old Town Spring and shopping at the Greenspoint Mall. Baker Hughes, Exxon-Mobile, Exterran, Halliburton, Nabors Drilling and Smith Intl are just a few of the companies that call North Houston home. Relax in our spacious rooms featuring contemporary and stylish decor. Our hotel offers a 24-hour state-of-the-art Fitness Center and indoor pool that can be used year round. Stay Smart and eat smart every morning when you enjoy our complimentary Express Start breakfast bar which includes our signature cinnamon rolls. Book your reservation today at the Holiday Inn Express and Suites Houston Intercontinental Airport where we treat you like family. Welcome to Houston! Greenspoint Mall is located 1 mile away from the hotel. It offers anchors such as, Dillards, Palais Royal, Fitness Connection, Premiere Cinema, and food court merchants. There are also several strip malls within 5 miles of the hotel. Best practice facilities in or around the city of Houston. Features nine target areas ranging from 100-300 yards. Short game area includes two large practice putting greens and two 6,000 sq ft chipping greens with bunkers.